The biggest local attraction is where you are! 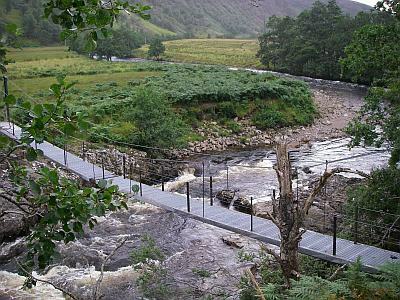 There are great scenic walks all around just out of the front and back doors. You can purchase a customised OS map that covers the local area on a single map here. This is close to ideal - though you may want to adjust the centre point and scale according to your own preferences. OS Landranger maps 25 & 26 cover the area. The main Stag season is mid August to mid October and the Hind stalking season is 21st October to 15th of February, signs are posted at access points to advise walkers where to avoid stalkers. The Strathconon Highland Games take place every year on the last Saturday in July. There is usually a ceilidh in Strathconon Village Hall afterwards where you can see the deer trophies rescued from the old lodge that burned down early last century. We are well placed for munro baggers. Ben Wyvis is a biggie close by. Drone view of Ben Wyvis Rogie Falls is a great walk - and remember the sauna at the end of a day on the hills! 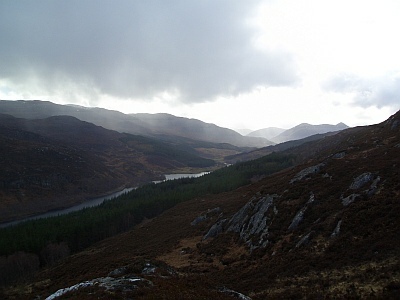 There is a wealth of wildlife in the glen including polecats, red squirrels and stoats. 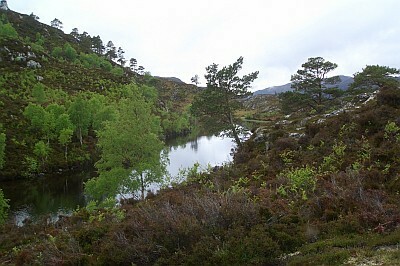 The area is fantastic for bird watchers, an osprey with a fish in its talons landed on the hill just behind us last time we were there. 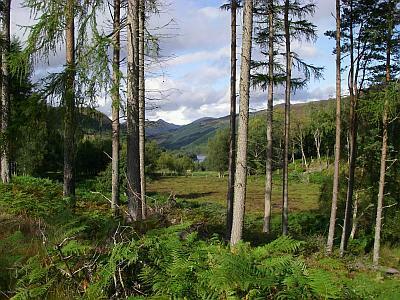 Other birds in the area are peregrine falcon, red kite, golden eagle, green woodpecker, siskins and treecreepers. As the road up the glen is no-through, traffic is very limited so cycling is good - though care is required as some of it is winding single track. Some bikes are available at the house - please see the T&C's page for details. For more serious off-road biking, cycle hire is available locally at www.squarewheels.biz in Strathpeffer. If you are crazy and energetic enough there is the Strathpuffer 24hr mountain bike event in the winter and the 12hr "lite" event in the summer – see www.strathpuffer.co.uk for all the details – some great things going on in the area! Local farms have fruit picking in the summer months. We are ideally placed for day trips to both the east and west coasts and their fabulous beaches (you can choose which coast has the best weather on the day!). On the Black Isle you can take in the animal safari park and the local organic Black Isle Brewery. The fishing and ferry port of Ullapool is well worth the visit. Gairloch and surrounds on the west coast are stunning with views to the Isle of Skye, Harris and Lewis from beautiful white sand beaches. Whale and dolphin cruises are available from the pier in Gairloch. 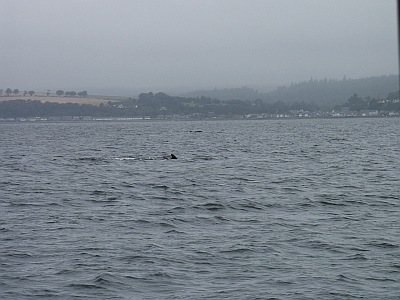 From Inverness harbour there are boat trips on the Moray Firth to see one of the local dolphin pods If you are in Rosemarkie you can also look out from the point as that is a good dolphin spotting area. Less easy to spot is the Loch Ness monster, but there are boat trips (Loch Ness Cruises, Jacobite Cruises) from just south of Inverness where you can try your luck. 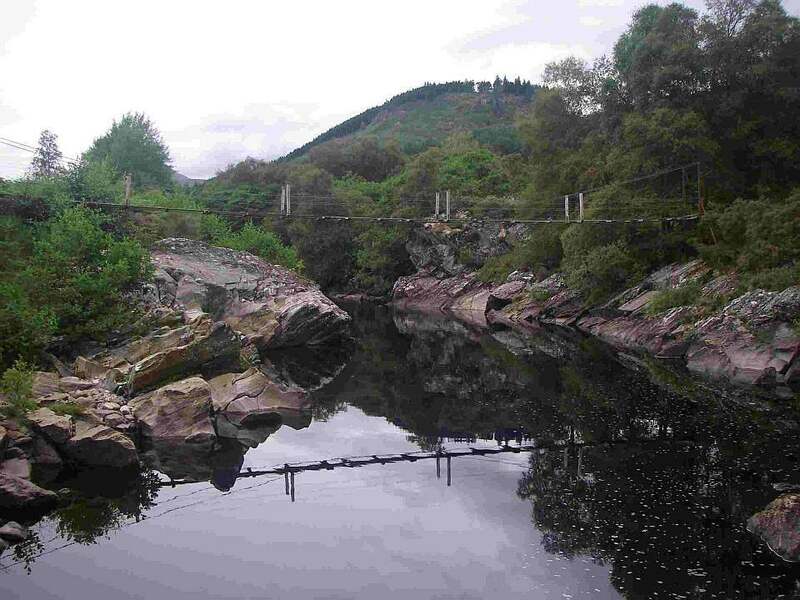 There is a kiddies play area at Drumnadrochit which can be driven to via the scenic route through Cannich. The Scottish Open Golfing tournament is taking place just outside Inverness over the next few years in July. The closest public swimming pools are in Dingwall and Inverness - the Inverness facility is bigger with both leisure and swimming pools, the Dingwall pool has a kiddies pool and slide too and is well worth the visit. The Ice skating rink is near the Inverness pool. I believe that Red Poppy will do catering and there are personal chef's that will cook in the house. There are takeaways in Muir of Ord and Dingwall, been great when we used them. There are also other restaurants in Dingwall and of course, Inverness. Fishing – permits required, but easy to get.